Does the French Demise Mirror Arsenal’s? and the New Away Shirts are Rubbish. I watched the Mexico v France game last night and it was good to see our manager watching the game too. He would have seen the freshness in which Mexico played, the ball was moved very quickly from defence to attack, the ball stuck to the Mexico players like it had Blue Tack on it even when it was passed with a vengeance, the swiftness of the attack was like our reserves in an early round of the Carling Cup. The French team though was woeful, made up of a quarter of Arsenal players. clueless, each player running for himself, no quick passing. I lost count of the amount of times Diaby gave the ball short to a teammate and went on a run looking for a return ball like he would see at Arsenal only for him to have wasted his time. Ribery the third best player in the world was made to look just average. 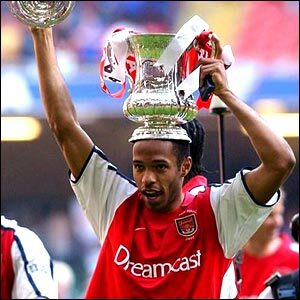 So is it a coincidence that when France ruled the football world from 98’ to 02’ Arsenal ruled the Premiership, with players like Petit Vieira, Anelka and Henry? Now the French team don’t seem to be able to function and we aren’t winning anything either. We have Diaby, Gallas? Sagna who played last night Diaby was average, Gallas a liability and Sagna was okay. Clichy was on the bench and Nasri isn’t even considered good enough for the squad. Perhaps we need to start looking to buy players from the inform countries, Germany? Bayern made it to the CL final…. Spain.. We know the problems with Spanish players, they all want to play for RM or the other sneaky mob down the road. Is the answer Mexico, Argentina or even Uruguay? I don’t know but I sure don’t fancy and more French players coming to the Arsenal this summer. I know the new away shirt pictures have been released for a few days now on Arsenal.con, but I don’t remember discussing them on here to see if we like them. They are rubbish literally, made out of recycled water bottles from Japan and China that would take 500 years to disintegrate in a landfill site. So Nike have made them a fabulous yellow colour and as a mark of respect to where they belong they have put brown on the collar and cuffs. Funny I thought we had new away shirts last year and Arsenal promised they wouldn’t rip the fans off by bringing new kits out every season and the new home kit is out soon. So that’s another £80 for the loyal supporters to chew on. Have a good day Roadsters, England play this evening.. whoopee.. not..
Cesc hasn’t asked to leave? Of course he has!! I watched the Spain match the other night whilst away on holidays, the picture on the television was dreadful, it was just like watching snow fall!! The one thing the ‘snow’ didn’t hide though was the words from the mouth of our current captain. Don’t quote me but the interview went something like this…. Interviewer -‘Cesc, how are things with Spain’ ? ‘At Arsenal we don’t do that, we never look at who we are going to play, we just play them – if we look at them we do it for ourselves, where as with Spain we look at the opposition together, we are much better prepared’….. Still, preparation didn’t stop the Spanish side from losing to Switzerland, did it…. GOOD!!!! Like I said, don’t quote me, but you must see what I am getting at. Why make such comments to the person interviewing, why have a dig at the club who has made him the man and player he is…. 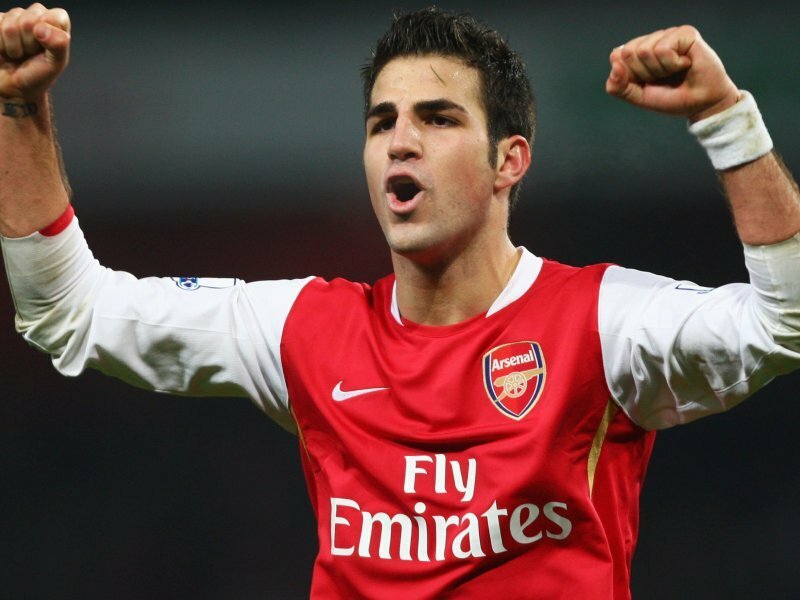 I read so many comments from bloggers who say ‘Cesc has not asked to leave’ – I don’t agree. I think he has asked to leave, the only thing is that we haven’t been told of his request in case Barcelona – aka ‘Stains’ don’t cough up the right amount and he ends up staying. That interview with our captain did nothing to convince me that he wants to stay at Arsenal, never before has he said a bad word about our club but suddenly that has changed. 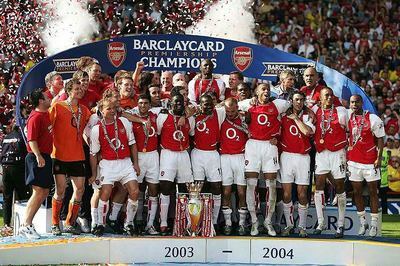 I wonder what the next one will bring…..
Say what you want about Arsene Wenger, but for once I think he is making sure that come the beginning of the season, if Cesc Fabregas is still wearing an Arsenal shirt, he doesn’t have to face a barrage of abuse from many many unhappy fans…. Think what you want, but my view is Cesc Fabregas has asked to leave Arsenal Football Club, and Barca will find the money from somewhere to get him. You are currently browsing the Avenell Road blog archives for June, 2010.